Hi, friends, I am Gyan Ranjan, In this blog post, I will share the idea and tips to get free dofollow backlinks to increase SEO score. The high-quality backlinks are too necessary to grow the traffic, Alexa ranking and Domain Authority of your blog or websites. How to get free dofollow backlinks for any blog or websites to grow traffic, authority and to increase SEO score. Friends, there are so many ways to get free dofollow backlinks, but in this blog post, I will discuss getting backlinks from high DA site by doing comments. Here are some other useful ways to get free backlinks. You can get free dofollow backlinks from social sites such as Facebook, Twitter, Linkedin, Google plus etc. Create accounts on these social sites and put your website link by editing your profile in every site, You will get high-quality dofollow backlinks from these sites. You can submit your site to the various search engine to get free dofollow backlinks. Here are links of some great website for web submission. Directory submission is also a good way to get free dofollow backlinks. You can submit your sites homepage links or links of your post in some directories by filling simple forms of each site. Create a website or blog on other platforms such as on WordPress, Wix etc. Write an article related to your post and include your post link in that article. In this way, you will get quality backlinks. Create an account on Quora and give the answer to any question or ask any question and add a link of your post in that question or answer. that's it. you will get free dofollow backlinks to increase SEO score, in this way. Create a youtube channel, publish any video and put your blog post link in the description box. In this way, you will get free dofollow backlinks from Youtube. Select high authority comment-enabled website or blog, Do real and unique comment related to the given post. fill your name, email address. Put the link of your post in the website box. You will get free dofollow backlinks when your comment will be published. These are some simple ways using which you can get free dofollow backlinks to increase SEO score, traffic, Domain authority, and Google ranking. Many many thanks for this article, with a huge list of comment-enabled high DA sites. 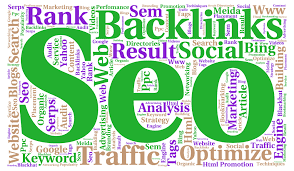 It will be helpful for all blogger who are in search of the way to get free dofollow backlink to increase their sites SEO score, traffic revenue and popularity. Thanks again Gyan for this very useful article. Aorta is a digital marketing institute in Chennai they provide training and assistance to students to learn the course in shorter period. They teach you to create brands, promote business and to generate lead digitally, Train you to claim on search engine and list website top on google, Help you to do content based marketing and help you create and publish ads on google search, youtube, displays and also guide you to reach more audience on social media. SSC Suggestion with SSC Question Paper. Your article is unbelievably good and extremely useful. Thank you for your shared information. If you want, you can add my blog to the list. My blog is All Blogroll his URL is https://allblogroll.com. There are DA 38 and PA 38. I write articles about the Internet, Home Improvements, Travel, Health, Food and Cooking, Business and Marketing, Family, Garden and Fashion. We also accept guest posts. I hope the site will appeal to you! Greetings!